Some of us find cooking meat a bit more challenging. For me, lamb was always tough (quite literally). So, now that I have got to grips with cooking lamb, so that it’s not only tender and delicious but also perfectly seasoned, I wanted to share my knowledge. So, you want to know how to cook a leg of lamb? Whether on or off the bone, the leg of lamb is the ultimate winner for us. Consisting of the shank and the juicy sirloin – it’s got it all. 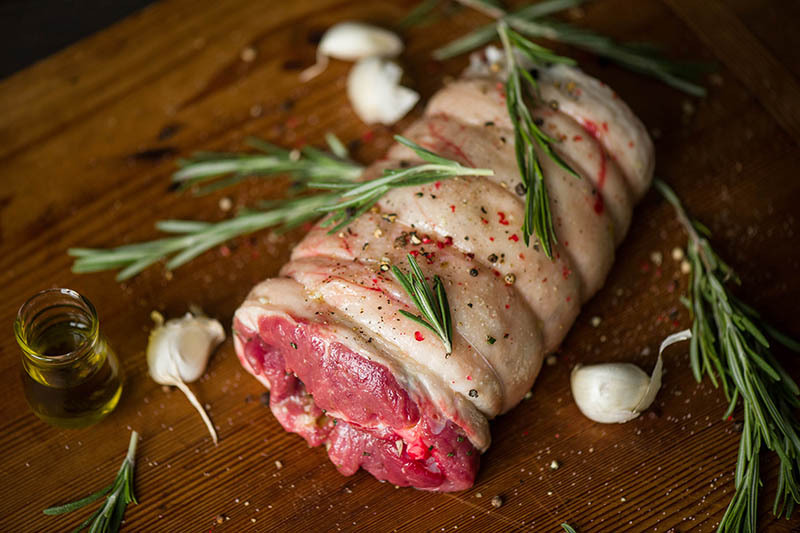 If you ask your butcher for a leg, he or she may offer it to you in the following formats: sirloin end, shank end and short leg and they are all really great for a roast! This meat is so tender and flavoursome, that it needs minimal seasoning. A bit of salt, pepper and rosemary… maybe some garlic, will do the trick. If you asked for it deboned you can roll it and stuff it with a variety of delicious things. 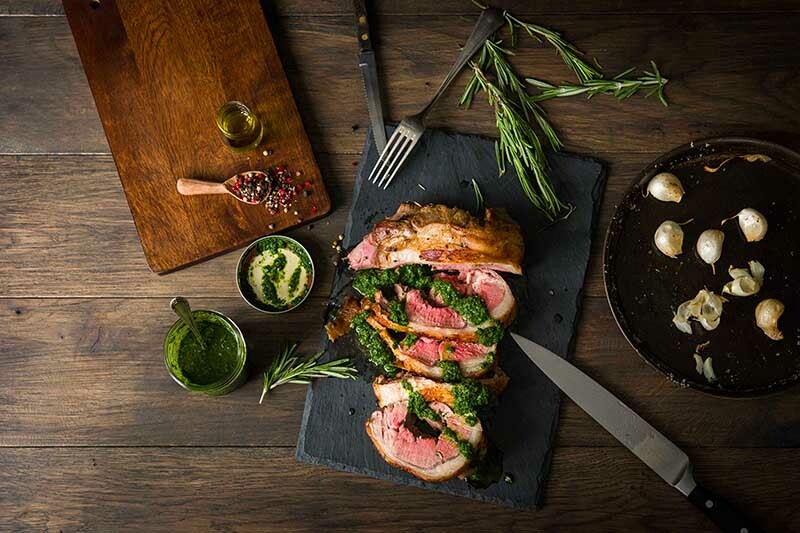 You could try this rolled roast leg of lamb stuffed with basil and parmesan. This is normally made up of about 8 ribs and is a pretty iconic piece of meat. If you want to know how to cook lamb chops, this is also the right cut for you. Again, keep the seasoning low key – just season it and if you’re feeling fancy you can crust it too. 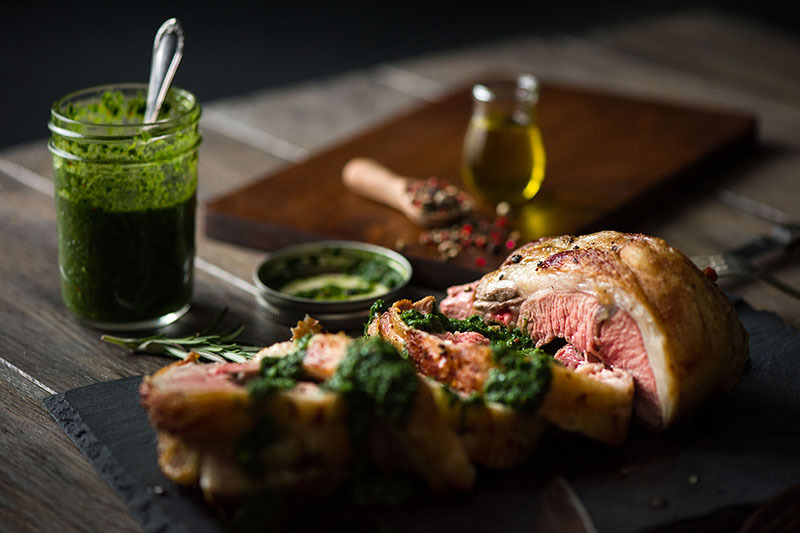 Try this herb crusted lamb recipe – I adore it! The shoulder is pretty generous in terms of meat and nice and fatty! Yes, I’m saying fatty with an air of delight, because it means it’s extra juicy. Eating fat doesn’t make you fat, in fact fat has a lot of very important nutrients. Melting down to deliciousness should be fat’s slogan in this scenario. Make sure you roast this piece for longer on a slightly lower heat because it’s a bit tougher than the leg and rib. But it’s every bit as appealing. This piece of leg muscle is much tenderer than others. If you roast this bad boy, the flavours that follow will wow even the most critical palette. You can slice it up and add it to sandwiches, salads or have it with chunky chips and tabasco. Marinades vs pastes & dry rubs? Marinades are normally used to make tougher meats, like mutton or brisket and their rougher tissues tenderer. In the case of a tender meat like lamb, marinating can actually act to make it tougher. 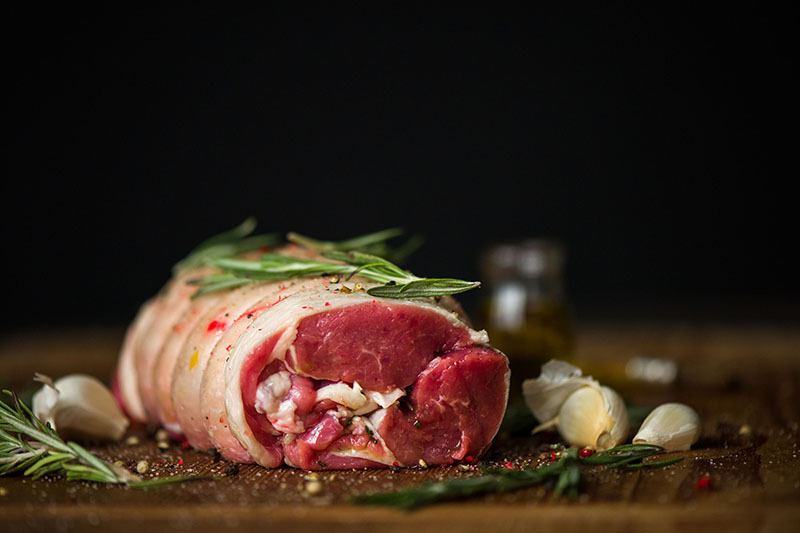 So, when you are working with lamb, I’d advise you to just use more simple seasoning like salt, pepper, herbs and spices, dry rubs or pastes rather than anything complex or liquid. You can rub on some butter and a bit of oil to make sure the seasoning flavours come out. Make a paste out of salt, pepper, garlic, sweet paprika powder and cumin and rub it on the lamb. It’s a bit different and it’s oh so yum. Pound it in a pestle and mortar for the best results. For lamb that oozes exquisite scrumptiousness you should baste your meat every 15 minutes while it is cooking in the oven. Basting is when you pour the juices and fat that have escaped from the meat back over the meat to keep it moist and add flavour. If you haven’t heard of letting your meat rest after a roast, you haven’t lived. Eating meat hot out of the oven, may sound awesome, but if you leave it to rest for about 15 – 20 minutes, it will make it more tender and juicy. Take your meat out of the oven and cover the meat itself completely in foil – so that the whole piece of meat is insulated. You should allow your meat to rest in a warm place!